It’s hard to believe that we’re almost half way into the school year. For this busy mama, time is flying and lunch ideas are running out. My littlest has been bringing home his carefully packed lunches only half eaten more and more in the last few weeks and it’s made me really think through not only what I’m sending him but the way in which I present it. 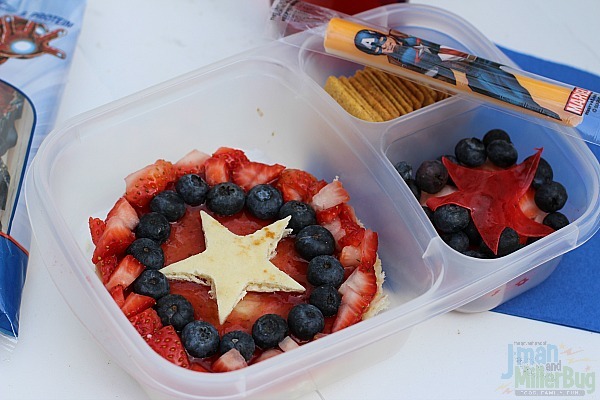 I’m fully aware that my kiddo is a totally visual being (most kids are) so instead of getting frustrated, I’ve been getting inspired and with help from Marvel® Avengers String Cheese, I’ve come up with an Avengers Themed Bento Box that gets my little superhero crazy excited about eating the lunch that I’ve packed him. Now, I know it may sound silly to be inspired by cheese, but when you’ve got a picky eater that thinks any meal that includes cheese is awesome, well, you allow yourself to be inspired in ways you never expected. So, as I picked up our lunch time staple of cheese sticks at Walmart recently, I took time to look around a little more. Knowing that his cheese sticks are ALWAYS the first thing to disappear from his lunchbox, I allowed myself to plan his whole meal around this wholesome choice. 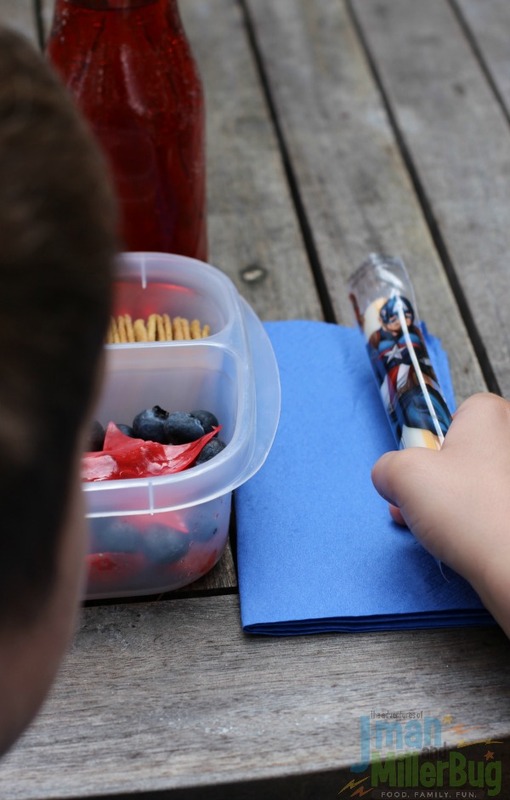 And while I was really purchasing the cheese inside of the packet, his excitement about the packaging of Marvel® Avengers String Cheese had me thinking that maybe presentation is the key to getting him to eat lunches and snacks that I feel great about serving. With this idea of presenting great choices for my son in a way that gets him excited rolling around in my brain, I decided there was no better way to do just that than to use my cheese for inspiration and create a bento box that, just like my Marvel® Avengers String Cheese, is filled with great ingredients packaged in a fun and exciting way. 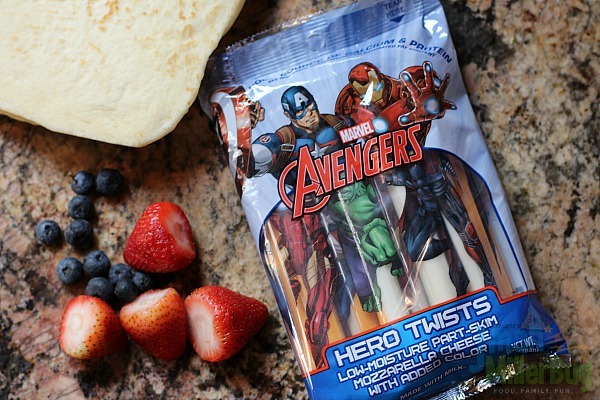 Knowing that Marvel® Avengers String Cheese is made with milk and a good source of calcium and protein, I decided I wanted to create a lunch that was filled with better-for-him ingredients. After seeing his excitement about his newly purchased string cheese, I took stock of what ingredients I had for his lunch the coming week and then got to work putting a fun spin on them. I quickly cut a circle out of his favorite bread to start the perfect pairing for his string cheese. Since I knew that he was getting great calcium and protein from the cheese I was packing, I settled on jelly and fruit to top his bread. Honestly, he’s a big jelly sandwich fan and loves any type of fruit so it just made sense! And after seeing how presenting his favorite cheese sticks in a fun way made them even better in his eyes, I was determined to do the same with the rest of his lunch. 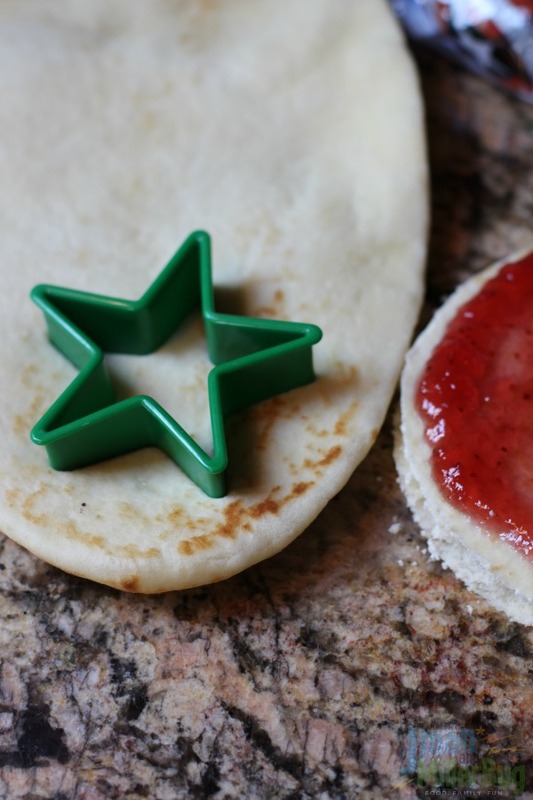 I quickly spread my jelly onto my piece of bread and then cut out a star from another piece of bread. 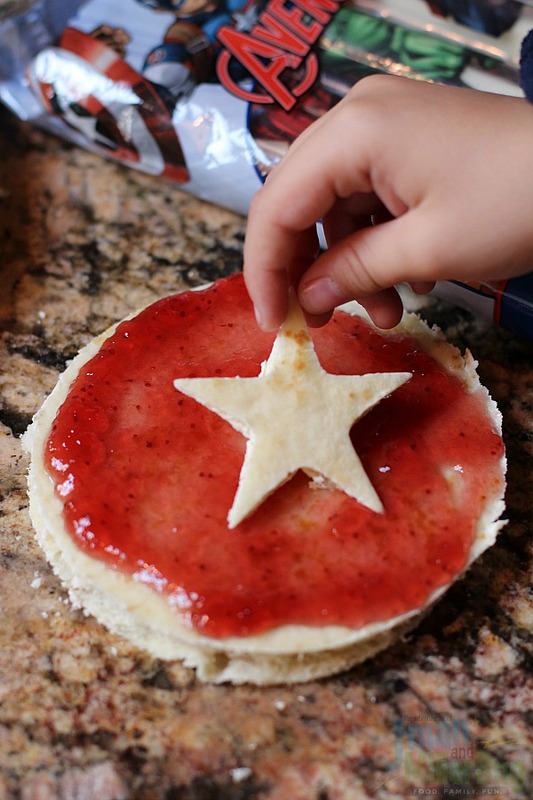 Next, I allowed him to help add the star to the middle of the jelly and add a ring of blueberries around it. Since he LOVES to help in the kitchen, participating just got him even more excited about the Marvel® Themed Bento Box we were creating! 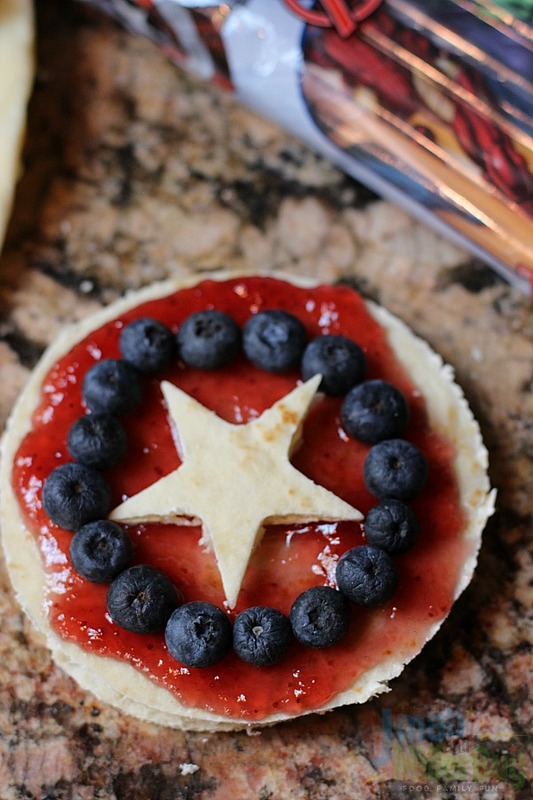 After adding a ring of strawberries to the outside of our creation and pairing it with whole grain crackers and more fruit in his bento box, I quickly grabbed the item that had inspired his whole meal, my Marvel® Avengers String Cheese, and stepped back to get his take on a wholesome lunch that was created just for him. 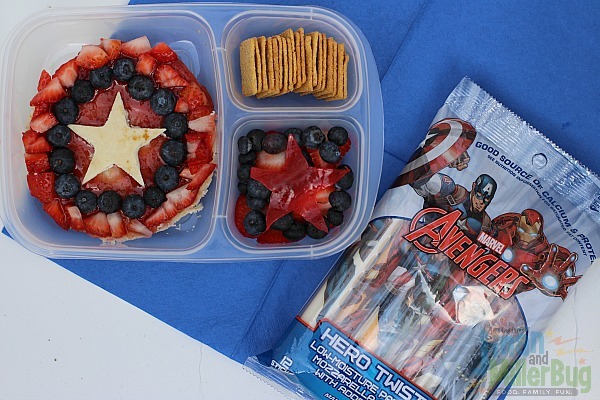 To say he was thrilled with his Marvel® Avengers Themed Bento Box is an understatement and while for him it was all about a creative lunch presented in a fun way, for me coming up with this lunch was about so much more. It was about being able to feel good about what I’m sending him to school with. It was about taking the time to make sure he has a lunch he’ll actually eat. And it was about being inspired by a quick and easy on-the-go snack or lunchbox idea that he’s always loved and that I’ve always felt great about giving him. 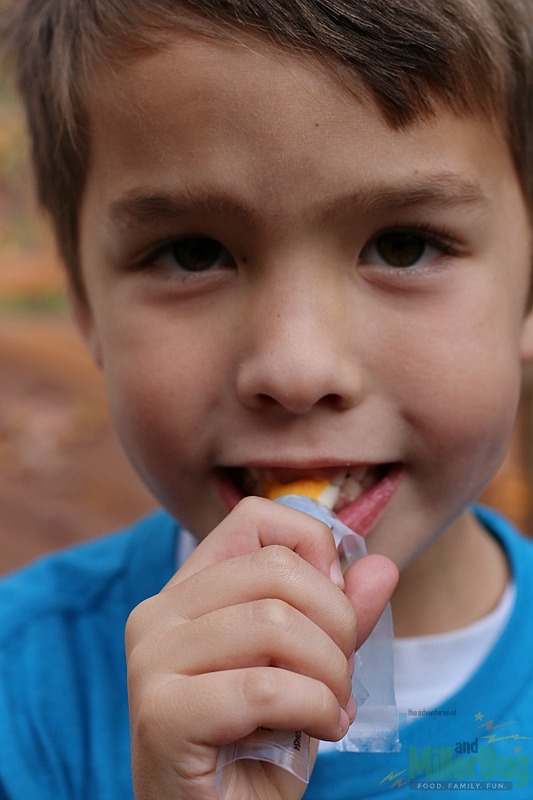 As we begin to wind down the first half of the school year, I’m reminded that giving my son great snack and lunch items doesn’t have to be difficult. It doesn’t have to be time consuming either. It simply has to be about presenting wholesome items like Marvel® Avengers String Cheese in a fun way that he can get excited about. As you plan for the holiday season and the remainder of the school year, start by reaching for the on-the-go snack and lunchbox essential that’s made with milk and is a good source of calcium and protein. 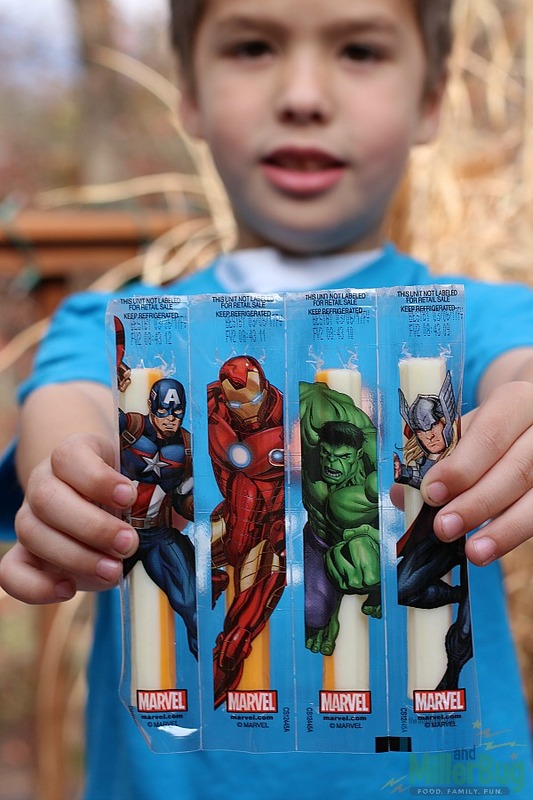 But above that, reach for the choice that kids themselves love by reaching for Marvel® Avengers String Cheese! Want more fun activities and tips for moms like me who want to feed their kids snacks and lunches they can feel great about? Start by heading to cheeseadventures.com! You’ll find ideas, inspiration and fun activities to help with on-the-go snacking and lunches that your kiddos are sure to be excited about! Even better, you can grab your $1 off on a Marvel® String Cheese product (good through 1/15/2017) while you’re there! So what are you waiting for? Head on over now and find the easy way to make feeding your child wholesome, delicious snacks and lunches fun again! 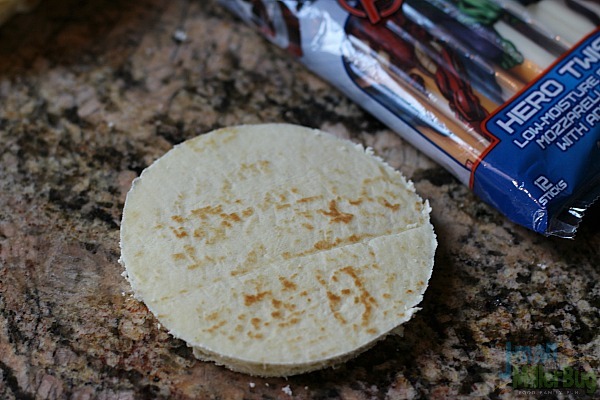 Then tell me, what would you pair with Marvel® String Cheese product to create an out of this world snack or lunch idea?